The fatal crash that took place on March 18, 2018 in Tempe, Arizona between a self-driving Uber vehicle and a pedestrian has been the center of an investigation for almost a year. According to a report by Forbes, it has recently been announced that Yavapai County Attorney, Sheila Sullivan Polk, has found no criminal liability on Uber’s part. Polk has recommended further investigation into the matter by her counterpart in Maricopa County, Attorney Bill Montgomery. who had declined to take on the initial inquiry due to a conflict of interest- the accident took place in Maricopa County. Polk also suggested that an expert should assess what Uber and its safety driver would or should have seen that night given the vehicle’s speed, lighting conditions, and other relevant safety factors. 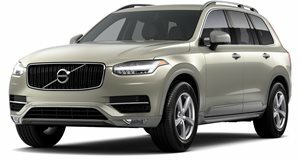 To recap, the Volvo XC90 that struck Elaine Herzberg, 49, as she crossed a street at night while pushing her bike along, was operating in fully-autonomous mode at the time. The woman, Rafaela Vasquez, who was sitting in the driver’s seat failed to take control and it has since been revealed that she was watching a TV show on her mobile phone at the time. The car’s systems had detected Ms Herzberg about six-seconds before the collision, but the car did not react because she was not in a crosswalk and was not recognized as a pedestrian or cyclist. The Volvo’s emergency braking had also been disabled. How much each of these facts and factors contributed to the collision still need to be determined. The accident was the first to involve a self-driving vehicle which resulted in a fatality, making it very high-profile. Despite this ruling, it is far from over. Ms Herzberg’s daughter, Christine Wood, and Rolf Ziemann, the victim’s husband sued the city of Tempe last month for $10 million and the Uber driver may still face criminal charges in the future. Uber finally resumed its self-driving operations last December, although in more controlled environments, and rival companies have been slowly expanding their operations too. Hopefully, the technology and the laws required to monitor it develops fast enough to prevent such an accident from happening again.